If you have a senior dog you might already be dealing with some old dog behavior issues…. or you may just be noticing that Fido acts a little differently than he used to. 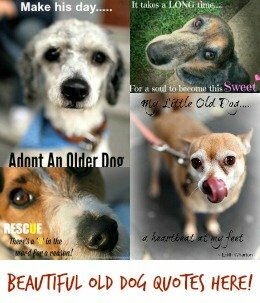 Your dog has gone through a lot of changes as he’s grown from puppy, to adult, to senior citizen…. …. and each of these stages has it’s own joys and problems. Personality or temperament changes in older dogs can be caused by different things, including physical health issues, emotional upset, changes in their family or environment and more. If Fido’s behavior has you worried, confused or frustrated, the info. on this page will help you figure out exactly what’s causing the changes and point you to tips and advice for managing them. Dog Barking More Than He Used To? …. and finally, sometimes changes can be positive! The aging process affects dogs in the same way that it affects humans, and as Fido gets older his body will begin to let him down. As a baby-boomer myself, I know how frustrating it can be when my mind has expectations that my body can’t live up to. It’s no fun! Some dogs never stop loving mealtimes, but others lose interest in their food bowl as they age. This is normal and happens for a lot of different reasons. BUT a sudden change in eating habits could signal a serious problem such as infection, liver or kidney problems and more. So if Fido won’t eat sometimes you need to make a trip to your veterinarian’s office to find out what’s going on. 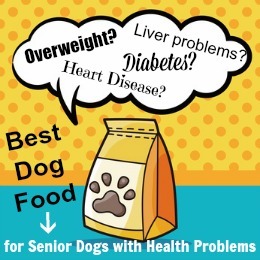 Here are just some of the reasons behind a gradually fading appetite in older dogs…..
… there are also other possibilities, and Fido could even be suffering from a combination of these ‘triggers’. Luckily there are lots of things you can do to help your old dog sleep better, and for longer. Even if Fido has been perfectly housebroken since he was a pup, in his senior years he might begin to have problems ‘holding it’. Incontinence is more likely in female dogs than in males, but it can happen in both sexes. We can add a third, separation anxiety, but it’s less common. If your older dog is peeing in the house, especially if it becomes a daily problem, can make everyone miserable, so it’s important to figure out what’s causing it to happen. Growing older doesn’t just cause physical changes, it can cause emotional or psychological ones too. Sometimes the two are related and the emotional behavior has a physical trigger (such as pain causing your dog to be grumpy and snappy). With old dog behavior, many emotional issues have their roots in physical problems. Personality changes can happen as dogs get older, and Fido may not be the confident, outgoing dog he once was due to anxiety about certain situations or due to physical or psychological changes. He might suddenly be afraid of things he’s been around his whole life (like the washing machine, or the door-bell), or something that previously made him mildly anxious now terrifies him. New things, people and experiences might make him shake and quiver. When this happens it’s worrying and upsetting for everyone. Things that can cause anxious or fearful behavior in senior dogs include…. Sometimes this anxiety can simply make your dog a bit ‘jumpy’ or ‘jittery’, or more easily startled. Other times it can cause more difficult problems such as separation anxiety, or even make your dog ‘housebound’. Although anxiety is more common than aggression, some older dogs can become irritable, bad-tempered or combative. They might not want to be petted, get aggravated with other pets, or refuse to tolerate puppies or other dogs. Maybe this shouldn’t be so surprising because we all know at least one elderly person who is a complete grouch! This old dog behavior has different levels of intensity, ranging from mild irritability to all-out aggression. If your naturally happy-go-lucky dog has morphed into Oscar the Grouch, then it’s important to get to the root of the problem. A veterinary visit is highly recommended as a first step. To get more details on the causes and treatment of snappy or aggressive behavior in older dogs click here. Yes, dogs can get depressed too! Getting older isn’t easy, and Fido probably doesn’t feel great about the whole aging process. All of these things affect quality of life, and that is important to your dog too. Plus senior dogs are more upset by change than younger dogs are, are less open to new experiences and their world may be shrinking as their sight diminishes. Oh wow, now that’s making me feel depressed too! But the good news is that there are a ton of ways that you can improve the quality of life for your older dog. Many of them are really simple, the key is to find out what it is that’s making your dog sad so that you can help him feel better. Many older dogs become increasingly vocal as they age, even those who have been occasional barkers up until now. Excessive barking can be your dog’s way of expressing emotions such as anxiety or confusion, or physical problems such as pain or the repeated need to urinate (see the page that talks about old dog incontinence for help handling this). 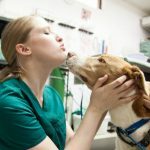 Fortunately, for both you and your golden oldie, once you figure out why he’s barking so much there are things you can do to reduce the barking and often alleviate the underlying cause of all the noise too. Old dog behavior changes are often not the kind you want to see, especially when they signal health problems. BUT, sometimes getting older can mellow a dog (or a person! ), and years of social interaction and training can mean senior dogs are often calmer and better behaved than the younger whipper-snappers. Your senior dog may become more loving in his later years, or life may rub the edges off a bossy/dominant or hyper-active personality. Some dogs are ‘old souls’ and are always sensible, then there are the dogs who are eternal puppies… who look older than they used to, but don’t act that way! Fido will age at his own rate (see my How Old Is My Dog? page for more on this) and in his own way. Share every moment with him and enjoy the journey. My Older Dog Is Peeing In The House! thanks for the conclusive information..